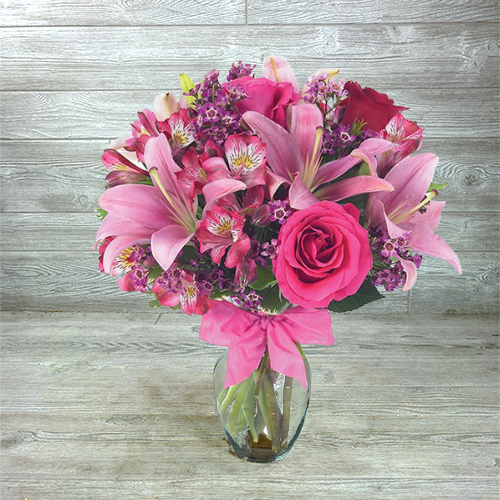 Imagine the look on their face when they see this delightful bouquet! 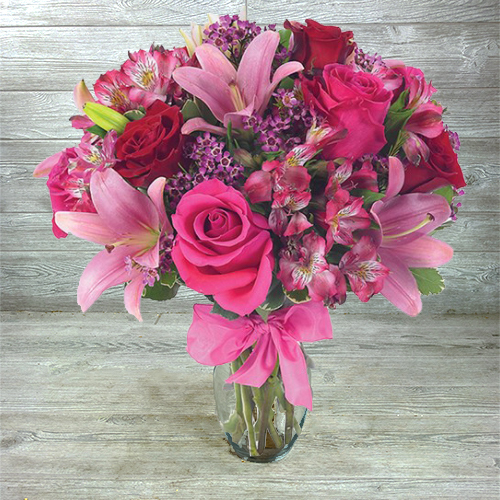 Pink lilies, red and pink roses, pink alstroemeria and more are all hand-arranged in a clear vase with a neatly tied ribbon. 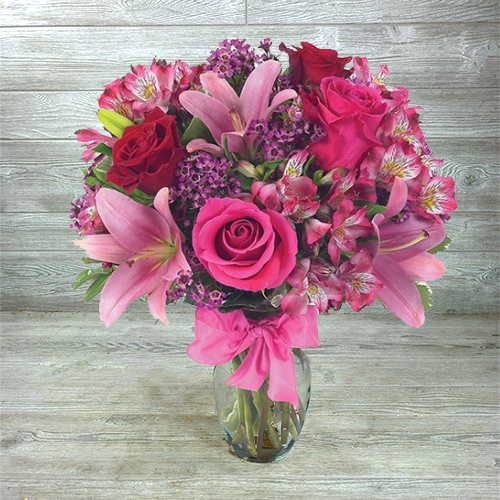 This bouquet is the perfect expression of love and romance any day of the year! Artistically arranged by our expert florists – each bouquet is unique.